What do you get for your class on Valentine’s Day? Paper cards are so passe thanks to Pinterest. Don’t worry! These Valentine’s Day gifts for classmates will impress everyone AND don’t require you to do complicated DIY. Win-win! 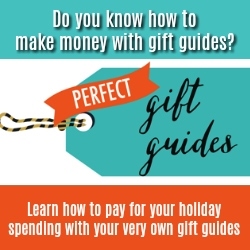 Looking for classmate gifts by age? 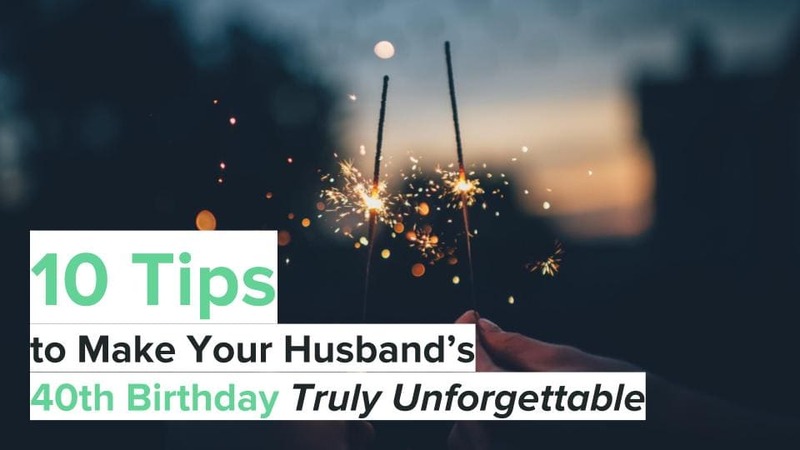 Click here to see our other Valentine’s Day posts. These are an inexpensive way to give everyone in your class a little gift. But the real question: who is going to get the heart eyes? 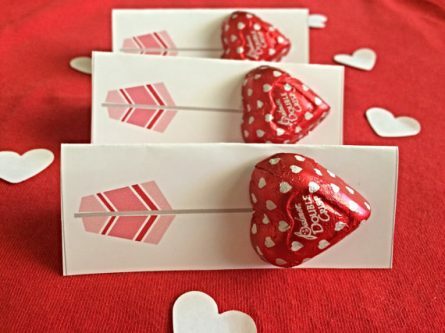 These heart soaps are perfect for Valentine’s Day and are a lot classier, and more practical, than most Valentine’s so they’d be great for older kids and even adults. 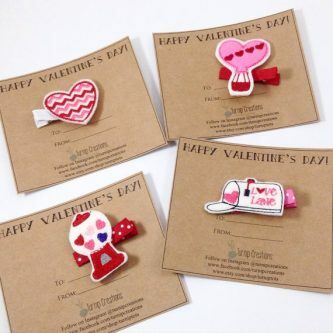 These adorable handmade hair clips are the perfect Valentine’s Day accessory to give to your class. Who doesn’t love a good pun? These ones have bath bombs and tags that say “you’re the bomb”. 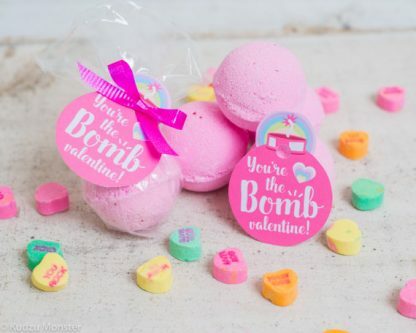 Not only are they super cute, bath bombs are trendy right now, so they’ll surely be explosive. 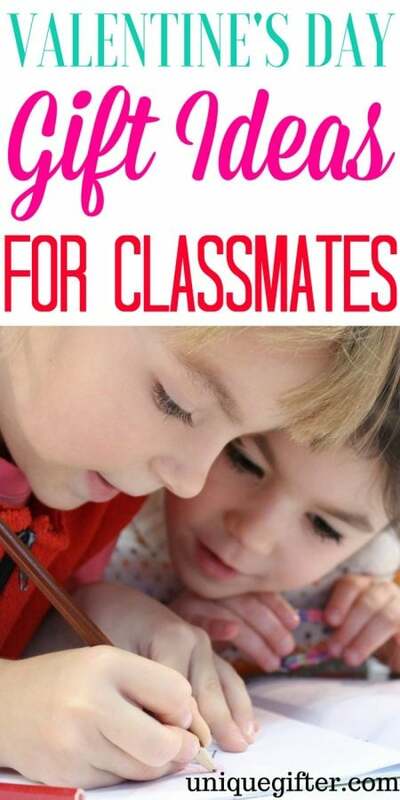 Who says classmates are just for kids? 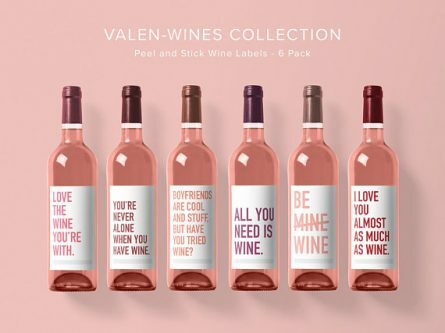 Get all your Zumba friends or post-secondary classmates something with these Valentine’s Day wine labels. These cards can be printed at home for a great last minute Valentine that requires very little DIY skills. Just stick on a chocolate heart and you’re done! You can’t go wrong with candy on any holiday. These Fun Dip packets are ready to label and hand out instead of paper cards. 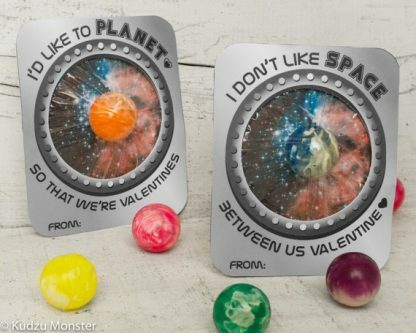 A change from the more “girly” style Valentines, your little scientist will be proud to hand these out on Valentine’s Day. If you live somewhere like here where it’s still mind-boggling cold on Valentine’s Day a packet of hot chocolate is a perfect way to warm up your class. 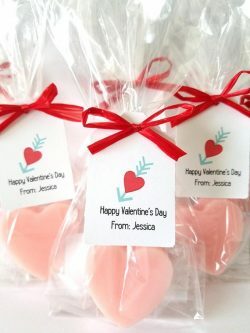 Obviously better than regular bubbles these Valentine’s Day themed ones are a great way to give your classmates a non-candy gift that doesn’t break the bank. 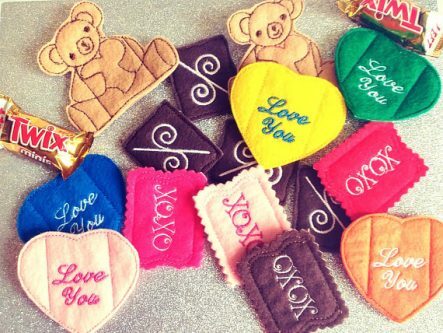 These little cloth bags are ready to fill with whatever Valentine’s Day treats you choose. The best part is they have adorable Star Wars characters on them! Stickers are versatile and keep things simple. 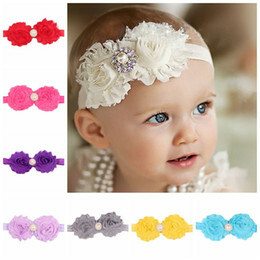 These ones are customized with your child’s name. 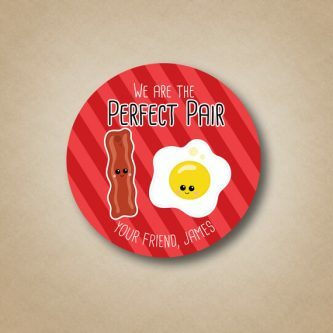 These printable cards are a great way to give something practical for Valentine’s Day. 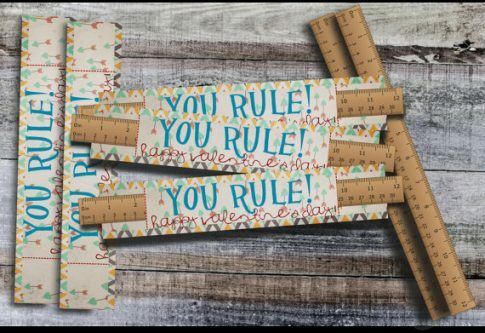 Just pick up a bunch of rulers to go with it and you’ll be all set! These giant hearts are a great Valentine’s Day activities for classmates to do together. 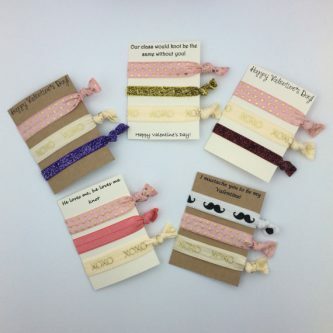 These super cute Valentine’s Day hair ties are going to delight all your little one’s classmates. You can pick which ones you want to order, too! 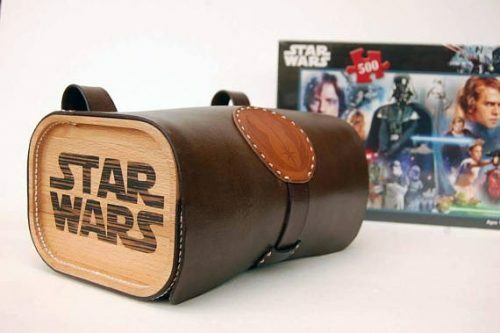 An unconventional Valentine’s Day gift, you could easily fill one of these with candies and give them as a little gift. 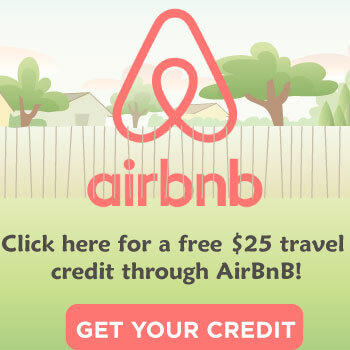 The best part is it’s practical and sustainable so you’re doing good for the planet too. Whose lips arent chapped in February? These custom lip balms are a perfect, practical gift for all your friends. If you don’t want to do anything this is the answer! Stick the candy of your choice into these fun felt candy holders. Don’t forget your teacher when handing out Valentine’s Day gifts (or wine). 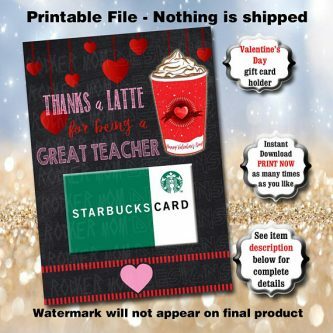 This printable file saves you in a hurry, just download, print, and attach a coffee shop gift card. Your classmates are definitely going to love you, or your kid, when they get one of the unique Valentines on this list. 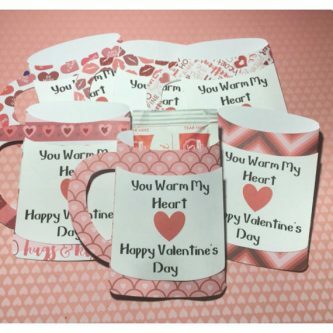 If this isn’t enough classmate ideas for you check out our other Valentine’s Day classmate posts here.